MIRAMAR, Fla. - Aug. 23, 2017 - PRLog -- American Medical Depot (AMD) is excited to announce its continued support of the Florida State Minority Supplier Development Council's (FSMSDC) 42nd Annual Awards Gala. The Gala will be held on September 29, 2017 at Disney's Coronado Resort Springs Resort in Orlando, FL. The event will be a celebration of excellence in supplier diversity. The Annual Awards Gala recognizes the achievements of Florida's top minority-owned businesses, industry leaders and corporations that are committed to supplier diversity. Awards presented include Local & National Corporation of the Year, MBE Suppliers of the Year, Advocate of the Year, Buyer of the Year, President's Rising Star Award, Crystal Award, and the Doing Well While Doing Good Humanitarian Award. American Medical Depot promotes diversity at all levels within its own organization and is proud to support organizations like FSMSDC that promote a like-minded mission. Said AMD President, Akhil Agrawal, "It's refreshing to have easy access to professionals and industry leaders that bring diverse viewpoints and a spirit of inclusion to every aspect of business. We are glad to celebrate all of those who make supplier diversity possible. Congratulations to all those nominated for a Florida State Minority Supplier Development Council Award. Your hard work and dedication is appreciated and admired." AMD is a leading healthcare supply chain solutions company based in Miramar, FL that uses technology and insight to provide smarter ways for clients to manage medical supplies and equipment utilization within complex healthcare supply chains. In 2016 1AMD was awarded the VA MSPV-NG Contract to service Veteran hospital facilities across the Eastern seaboard. Having provided innovative supply chain solutions to healthcare providers for more than 20 years, AMD continually executes proven value-add models, combined with deep industry experience and strong leadership in order to deliver smarter and more cost-efficient turnkey solutions for government and commercial markets. For more information, visit www.amdnext.com. 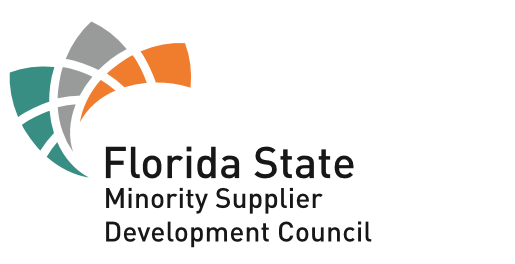 The Florida Minority Supplier Development Council (FSMSDC) advances business opportunities for certified minority business enterprises and connects them to corporate members. - Facilitates MBE-to-MBE partnerships to meet the needs of our corporate members.